The rule that it is best to cook from fresh products, not valid on dishes from the frozen meat. Subject to the rules of storage, it fully preserves all its useful properties and allows to realize any recipes without compromising their quality. 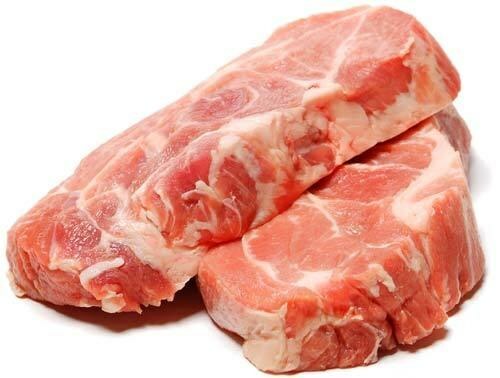 Before cooking frozen meat, it should be kept at room temperature until thawing. Despite the fact that many families had a microwave oven simplifies the process of thawing, it is best to get the meat out of the freezer in advance. Often in the microwave the top part of the pulp obvalivautsya and loses its appearance. 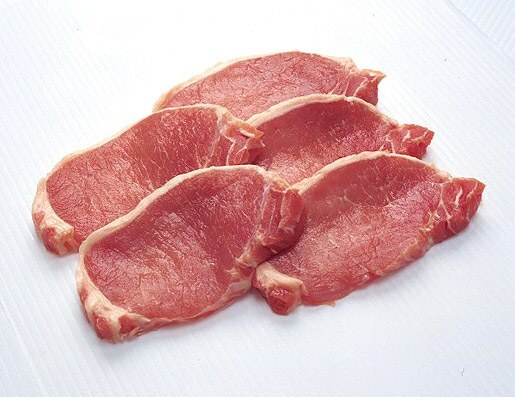 If defrosting meat in water, then it will be more dry as all the juices will go into the water. Once the meat defrosts, it remains to decide what you will prepare. The choice of recipe depends on quality meat. From the pulp the best turn chops; if the quality of the meat is not too perfect, the easiest way to cook the patties. Naturally, you first need to rid the meat from the bones, if any, and carefully to wash out. Grind the resulting pulp into pieces that will fit into the grinder. Simultaneously clean and chop some onions. Scrolling through the flesh and onion through a meat grinder, add to the minced salt, spices, an egg or a piece of white bread soaked in milk. Mix homogeneous mince and vilaite from it cutlets of desired size. Roll cutlets in breadcrumbs and fry on each side in hot oil for five minutes. To ready product from the frozen meat can be brought in an oven or by sautéing in a skillet or saucepan. Similarly, you can roast whole pieces of meat and also roll them in breadcrumbs or flour. Frozen meat will be no less tasty than fresh, but it will save time Housewives, which at hand will always be the product from which you can cook any dish. When you deep freeze the meat successfully stored for six months. If the temperature in the freezer is 18 degrees, about the safety of the meat can not worry. Regardless of the type of meat that you use for cooking broth, it is very important that it was fresh or chilled. A well prepared product is tasty, even without additives in the form of various vegetables and spices. Before cooking the meat, it should first be thawed. Remove it from the freezer in advance. Best put the product in the bottom section of the refrigerator and activite for 6-8 hours. Frozen meat need to be defrost as slowly as possible, as it better preserved proteins and extraneous flavoring substance. You can put the frozen product in a container and thaw it at room temperature until complete thawing. To lose less moisture to evaporation, put the piece in the polyethylene or in a pot closed with a lid for 2-3 hours. You cannot thaw meat in water, as it becomes not juicy, and dry. Do not defrost the product in the microwave because the outside flesh is a little obvalivautsya and meat quality is much worse. After the product is completely thawed, rinse it under cold running water, peel from the films and tendons. Try to cook the meat one or two large pieces. If you want to cook a delicious, rich broth, then put the piece in cold water. And to cook the delicious meat, you need to put it in boiling water. The broth will be not very concentrated and the meat will be juicy. When the water boils on its surface the foam is formed, it must be removed with a skimmer or spoon. If this is not done, then after some time on the bottom of the pan will appear flakes and the broth will become gray and muddy. Salt water at the end of cooking. If to add salt to the broth before, it will lead to the release of meat juice, will deteriorate the taste and reduce the nutritional value of the product. Cook meat over low heat with barely noticeable heat and with the lid open. In order that the meat was more tasty, at the end of cooking the broth put peeled and chopped carrots. You can add a tablespoon of vinegar and lemon juice. If you are cooking beef, then boil 2-2,5 hours, pork for 2-3 hours, and the lamb for 1.5 hours.